Carmen DeSousa: "You gonna jumpstart me? I assure you, I don’t need a jumpstart" Excerpt from CREATUS ROGUE ~ New Release! "You gonna jumpstart me? I assure you, I don’t need a jumpstart" Excerpt from CREATUS ROGUE ~ New Release! If you haven't read Book One in the Creatus Series, you can find more information, check out some of the reviews, and read a free sample on Amazon. Or, you can read two deleted scenes and the first chapter without leaving my website here. She popped the trunk. She had to have something inside to restrain him. She pulled out a pair of heavy-duty jumper cables and strolled around to his side again. She resisted laughing. For someone who thought they were going to be killed, he sure made an awful lot of jokes. Carefully, watchful of his dangerous, powerful legs, she pressed her palms on his thighs and held him steady while she tied his feet with the thick cords. If you've read Creatus Book One, I'm sure you know these two characters. I hope you enjoyed the excerpt I chose and will look forward to their story. In the meanwhile, please get me those cover ideas. Y'all did an awesome job last time, so let's do it again! 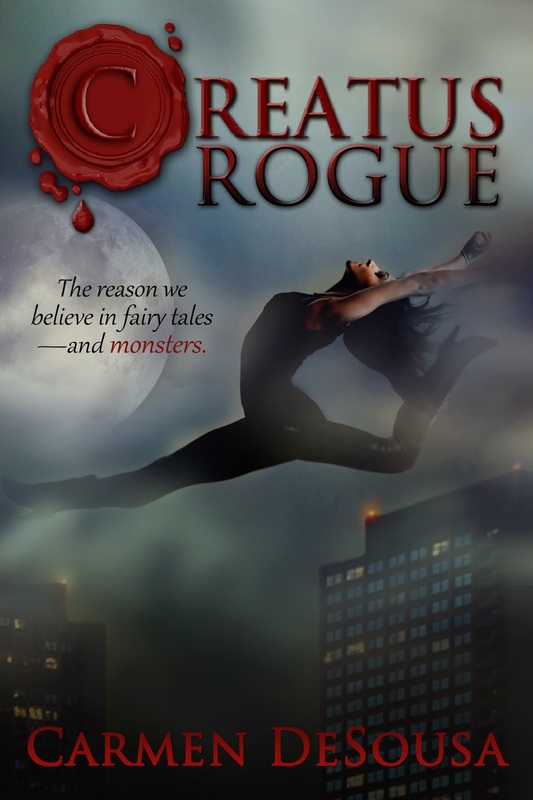 Look for Creatus Rogue this Valentine's Day!